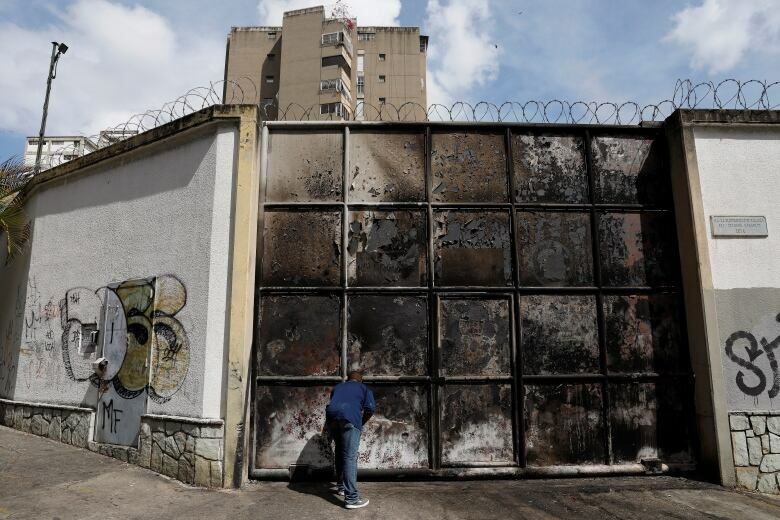 The United States announced late Monday that it is pulling the remaining staff from its embassy in Venezuela, citing the deteriorating situation in the South American nation. 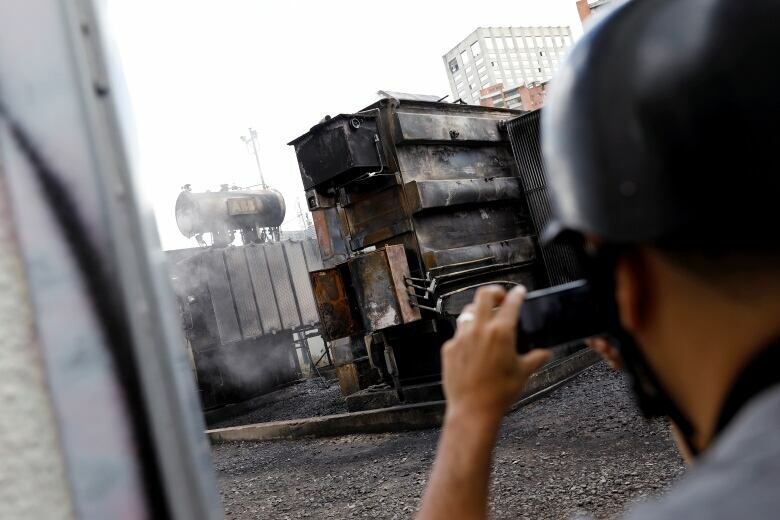 Earlier, witnesses said an explosion occurred at a power station in the Venezuelan capital as days of nationwide power cuts imposed increasing hardship on the country. Flames rose from the electrical facility in the Baruta area of Caracas early Monday, contributing to a sense of chaos among Venezuelans already struggling with an economic crisis and a bitter political standoff. Guaido said three of four electricity transformers servicing the area were knocked out and that state engineers are unable to fix them. The U.S.-backed leader of the National Assembly has blamed the blackouts that began Thursday on alleged government corruption and mismanagement, while Maduro accused his adversary of sabotaging the national grid. Maduro has accused Guaido and the U.S. of staging a “cyberattack” on the power grid. Maduro on Sunday called the massive blackouts a “macabre strategy” to create a level of despair in the country. Maduro posted a video on Twitter that showed him with a two-way radio, purportedly talking to military commanders and governors. Meanwhile, Defence Minister Vladimir Padrino Lopez said the military has been deployed to protect Venezuela’s power installations from alleged saboteurs. “We know who’s behind all this,” Padrino Lopez said, echoing the government line that the U.S. staged cyberattacks on Venezuela’s infrastructure. U.S. officials have dismissed the allegation as absurd.